The Park Avenue gateway to data, connection, and knowledge. 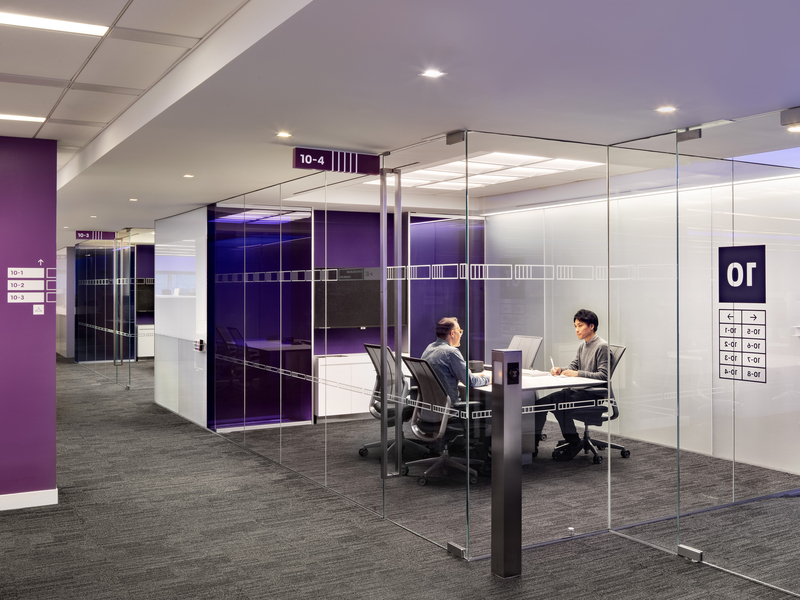 Bloomberg’s 120 Park location was in need of an upgrade that better communicated its brand essence and gave the existing 15+ floors of office space an identity of its own. 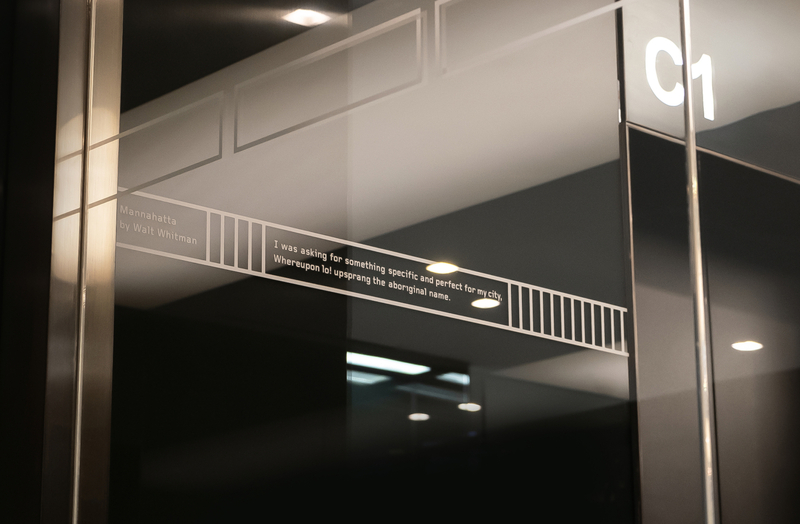 We built on the “site-specific branding” philosophy we established with our previous work on Bloomberg’s San Francisco Tech Hub and Washington D.C. News Bureau offices by taking our initial design cues from 120 Park’s immediate surroundings. The office is just a few blocks away from two majestic New York landmarks, Grand Central Station and the Bryant Library. Symbolically, they are both gateways—one to transportation and connection, the other to knowledge and learning. Bloomberg—with its focus on software, data, and media—is a gateway where these separate attributes converge. We used the existing Bloomberg brand colors to differentiate the floors into their own “lines” reminiscent of the New York Subway and continued this transit motif in the conference room ID / distraction banding system, which visually refers to both map routes and the individual cars of a subway train (but that hold data instead of people). The conference room flag signs hark back to the historical wayfinding subway signage that still exists in the immediate area. True to Bloomberg’s business and brand, there is an additional data / information layer. The graphic system is based on a single vertical bar unit. The section widths of the conference room IDs / distraction banding appliqué are based on the floor number (Floor 8 = 8 bars). 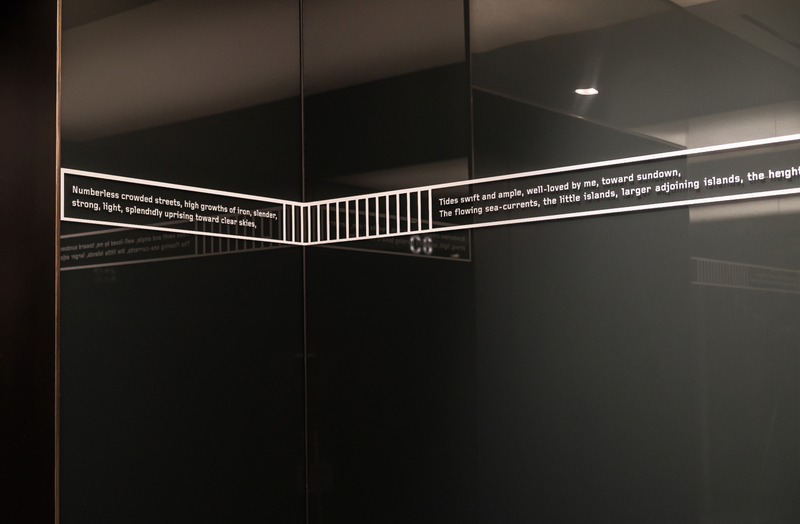 Then the amount of visible vertical bars within these sections is based on the conference room number on that floor (Room 8-3 = 3 vertical bars), or with the 13th floor poem where the amount refers to the number of words in each poem section. 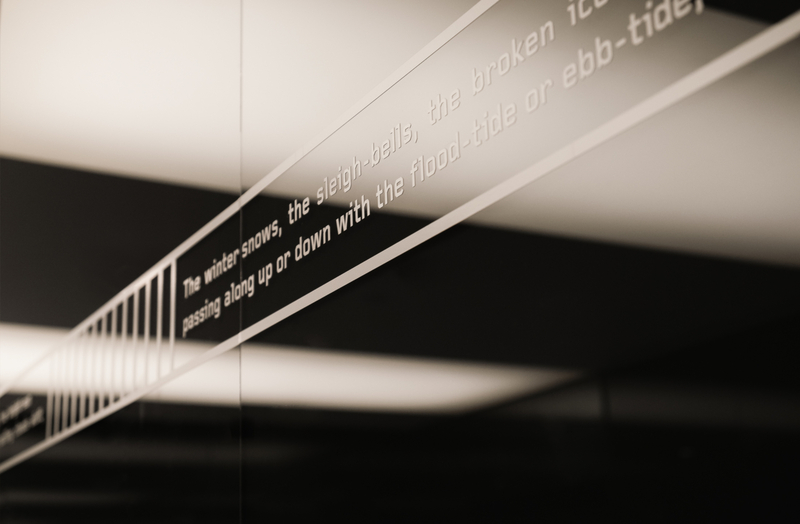 The conference room IDs also provide wayfinding guidance to the other conference rooms on the floor. In the stairwells, one is given a complete snapshot of the conference room set on each floor with a stacking of each conference room’s unique band unit adjacent to the large floor number. 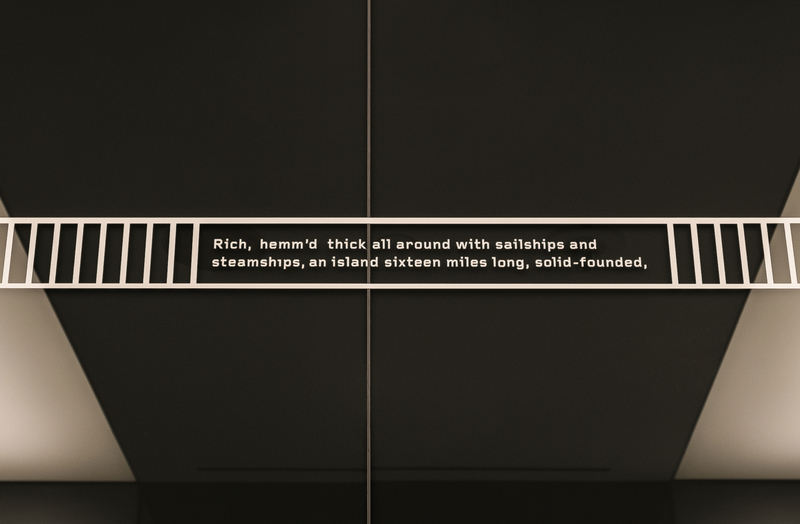 The overall system is both holistic and unique from floor to floor giving each level its own identity. 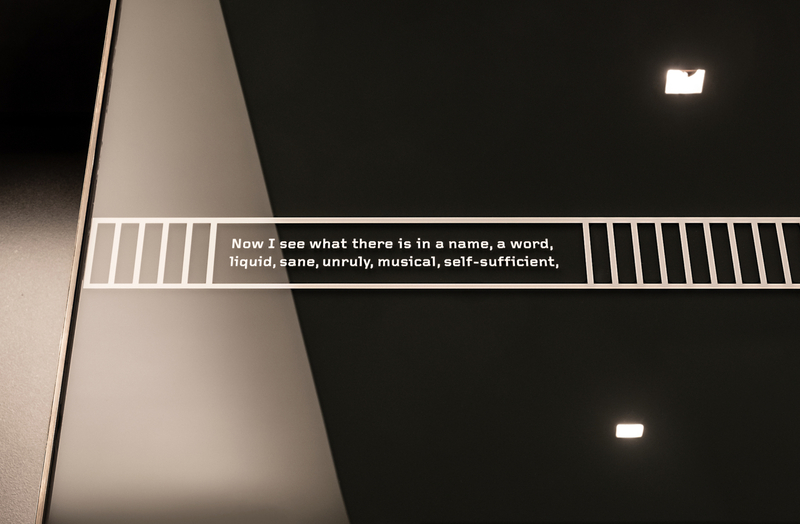 The stairwells between floors also use large scale typography to turn the underappreciated liminal spaces between workplace floors into marquee moments of awe and reflection. 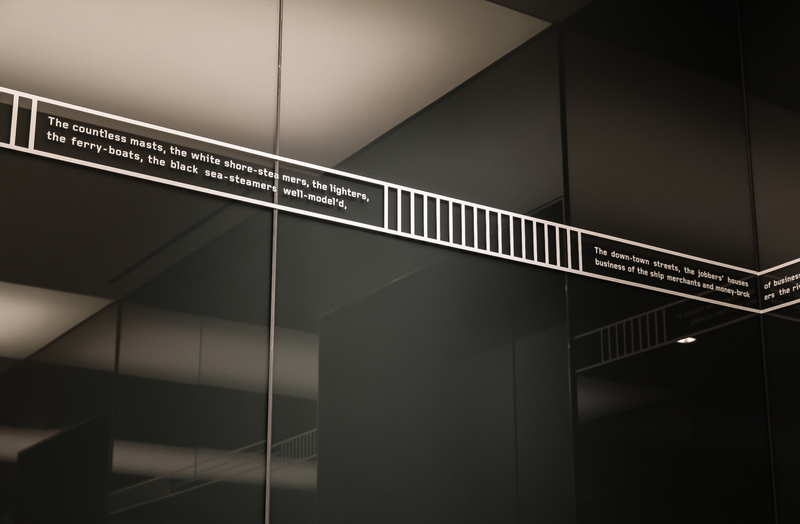 Lastly, the nod to learning and knowledge occurs on the reception 13th floor where the classic ode to New York City, “Mannahatta,” by Walt Whitman appears as a thin band of text that wraps the elevator lobby. When we were installing the program, many employees expressed how happy they were to finally be getting a distinctive office identity. 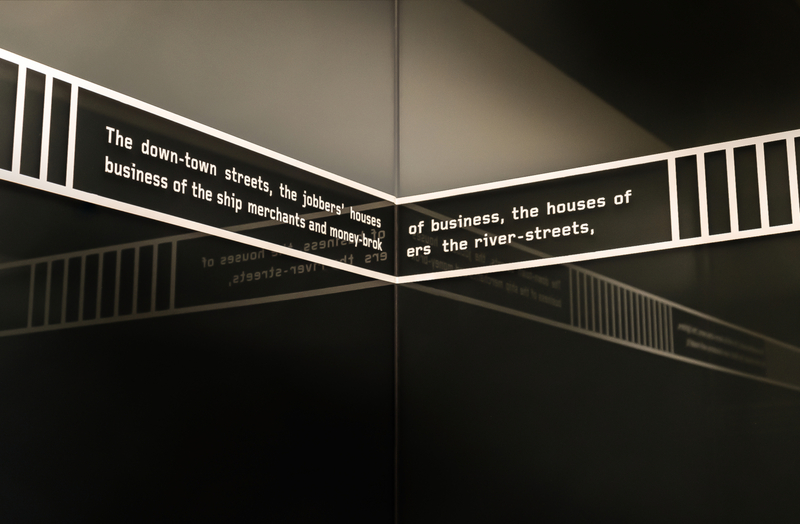 But they appreciated most the elegant complexity at the center of the data-centric expression of the graphic system. 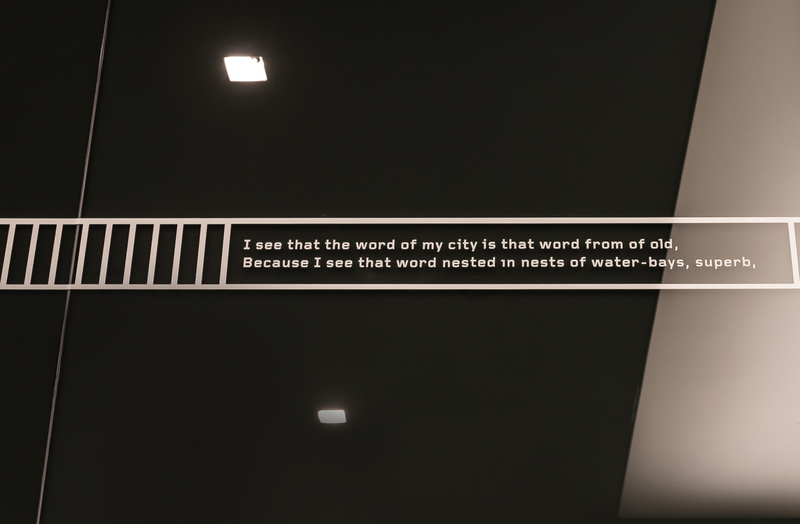 Well, that and the huge numbers in the stairwells. Who doesn’t like big type?